Tommy Ramone – former drummer and founding member of the legendary New York punk outfit The Ramones – has died peacefully at home at the age of 65. Born Erdelyi Tamas in Budapest in 1952, ‘Tommy’, as he was better known, formed the band with Joey, Johnny and Dee Dee Ramone in 1974. He co-produced and played drums on the band’s first three albums: Ramones (1976), Leave Home (1977) and Rocket To Russia (1977), before being replaced by Marky Ramone on drums in 1978. In 2004, Tommy played as a Ramone once more, joining C.J. Ramone, Daniel Rey and Clem Burke for the ‘Ramones Beat Down On Cancer’ concert. He passed away on Friday after receiving hospice care and treatment for cholangiocarcinoma (bile duct cancer). 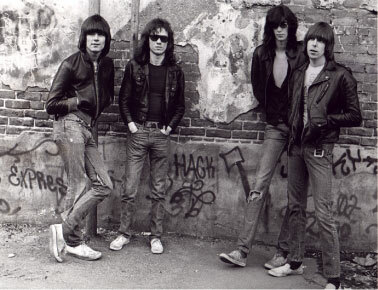 Tommy was not the first of the Ramones to die from cancer. Johnny died from prostate cancer in 2004 and Joey died from lymphoma in 2001. Bassist Dee Dee died from a heroin overdose in 2002.